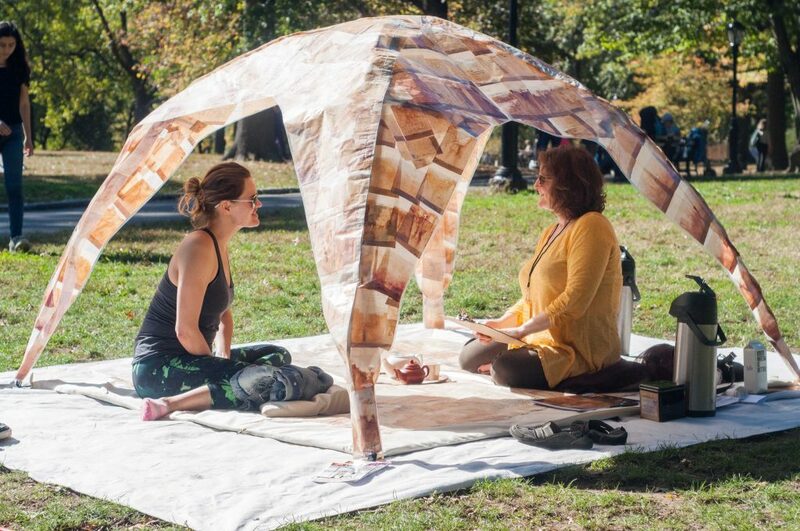 Reflections in Tea is an interactive community-based public art project inspired by the worldwide tradition of drinking and sharing tea. 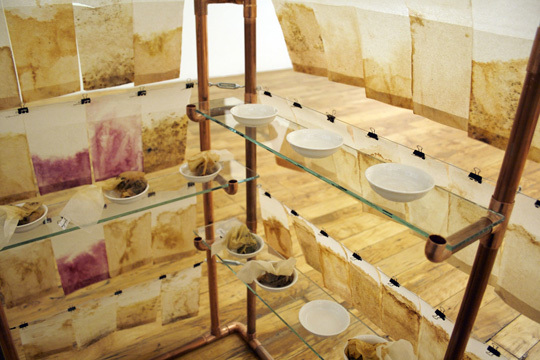 The ritual performance of preparing loose-leaf tea within special paper filters is shared with individuals and groups. 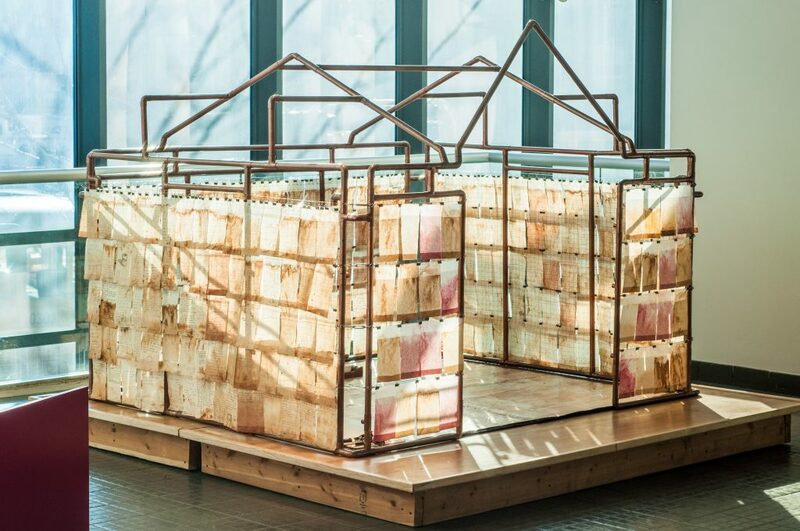 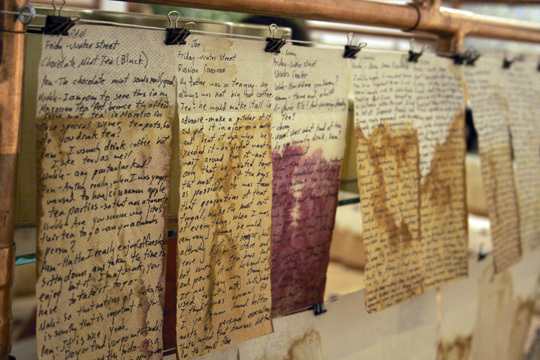 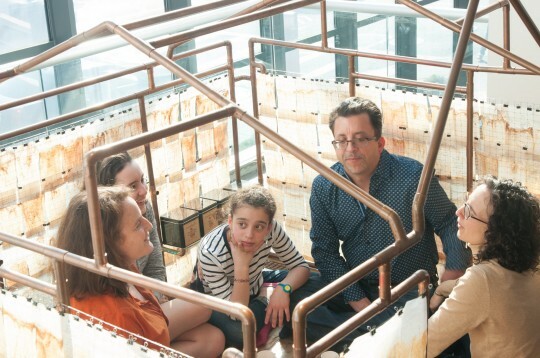 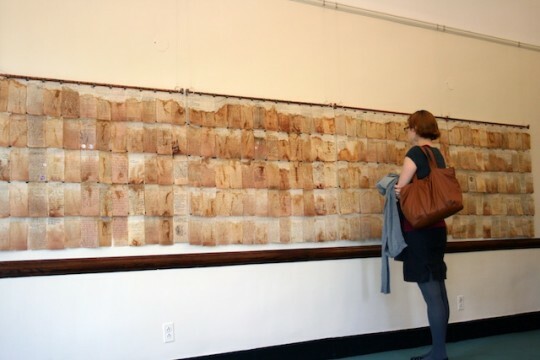 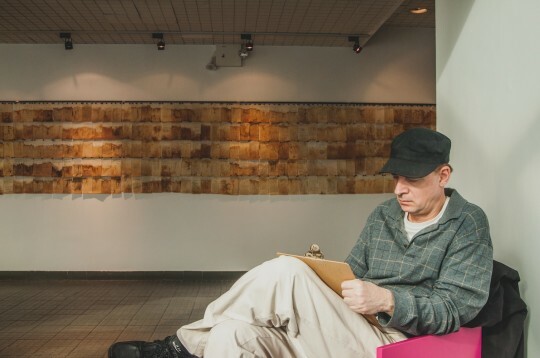 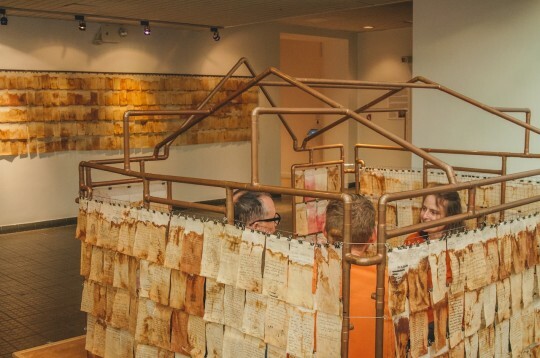 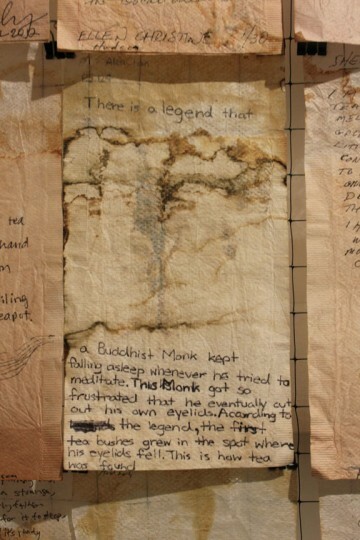 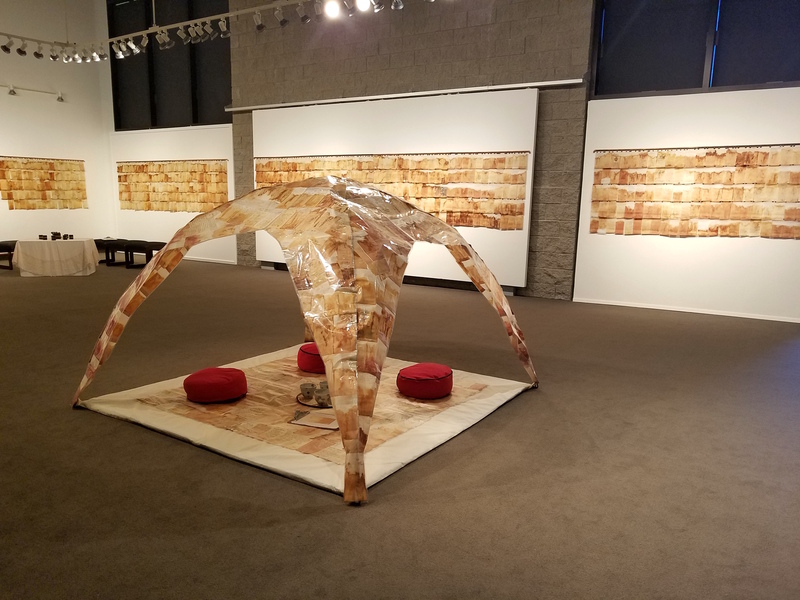 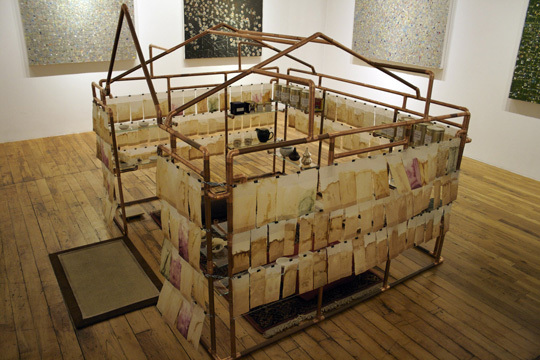 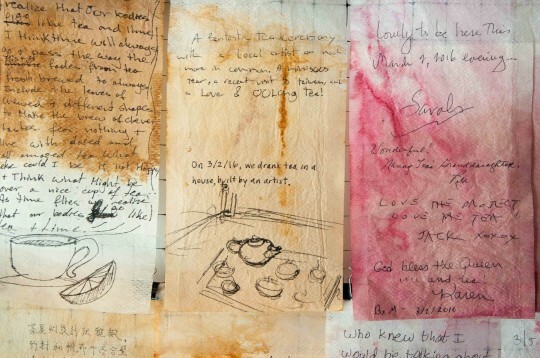 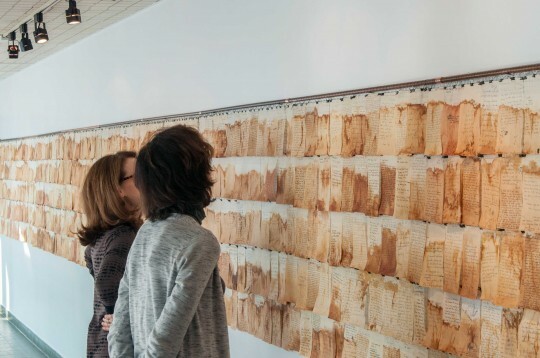 After which participants’ conversations are preserved by being transcribed onto the stained tea bags that have been dried and flattened, culminating in the creation of an ever-growing set of fluttering paper quilts. 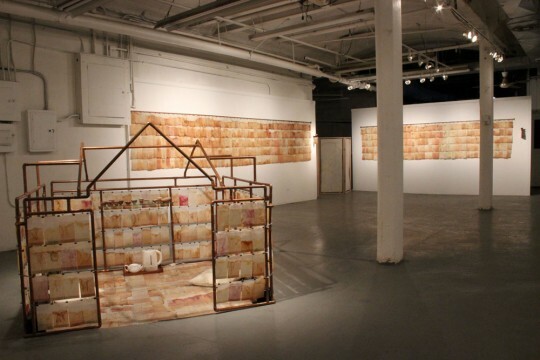 From afar these quilts form an overall composition of a craggy mountain range reminiscent of the mountain sides where tea grows, while when read up close are seen to be pieced together with over a thousand individual handwritten notes and unique drawings.